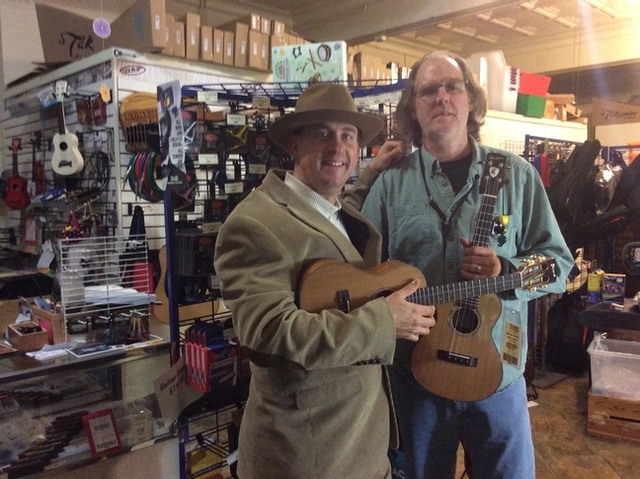 Getting Started with Ukulele - FREE ukulele workshop with Curt Sheller and Kelly Thompson. Where Do I Start? That’s a common question. 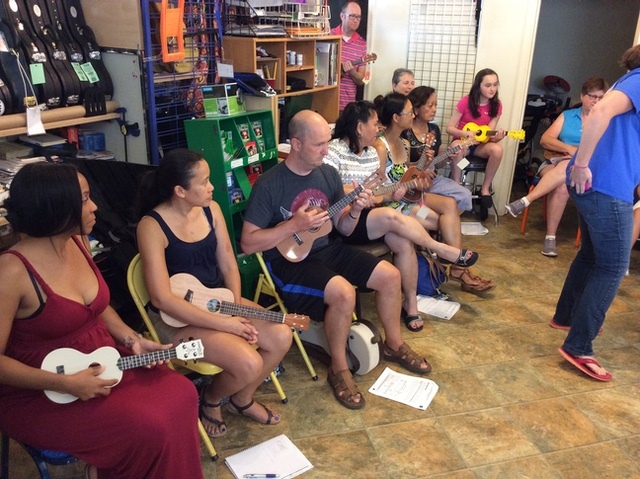 This workshop covers ukulele tunings, learning the ukulele fingerboard, basic chords and four famous strums. 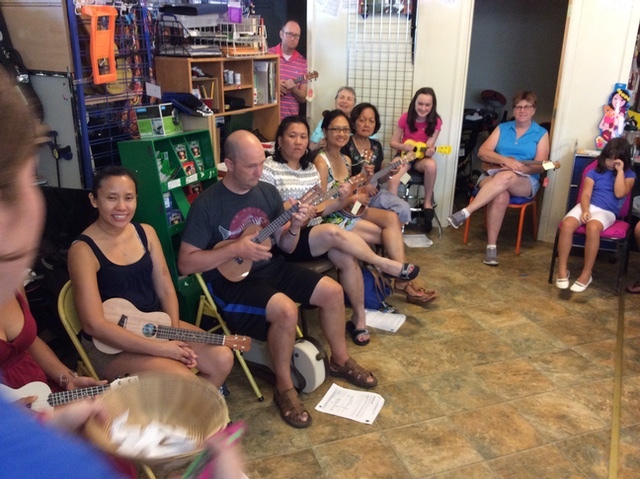 This workshop gets you rolling on having some fun playing the ukulele. 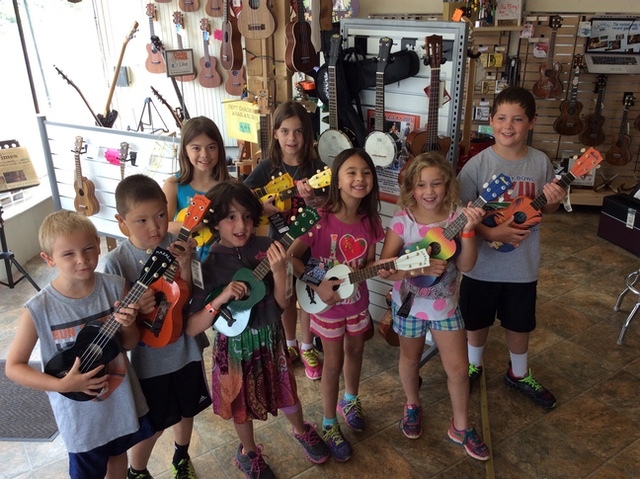 * Loaner ukuleles available at workshop. Cost: $75 for four (4) one hour sessions with ALL materials included. Please pay prior to the workshop to secure your spot. 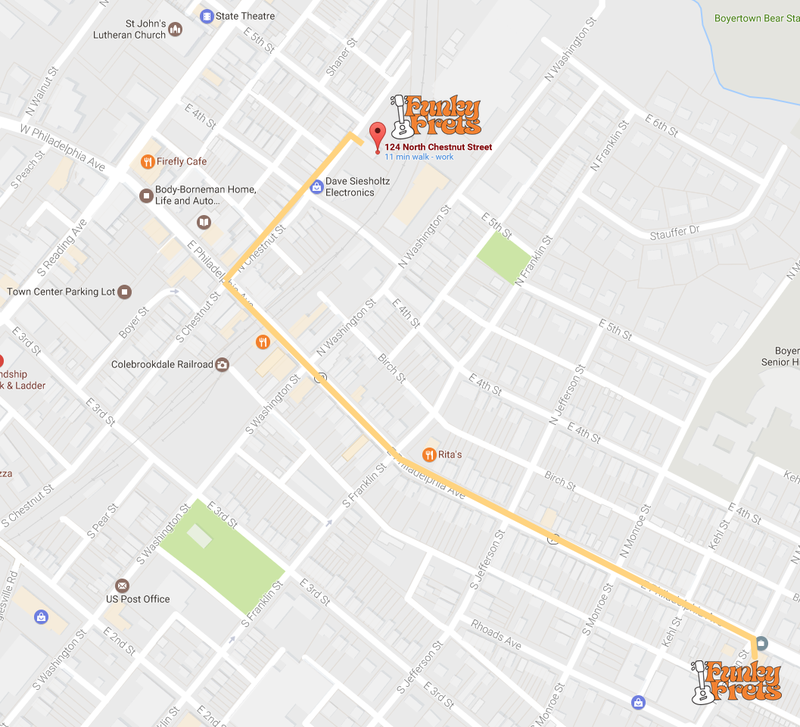 If you will not be stopping in before hand to pay cash, check or credit card, we can send you a PayPal link or take a credit card over the phone. Whichever payment option you prefer. 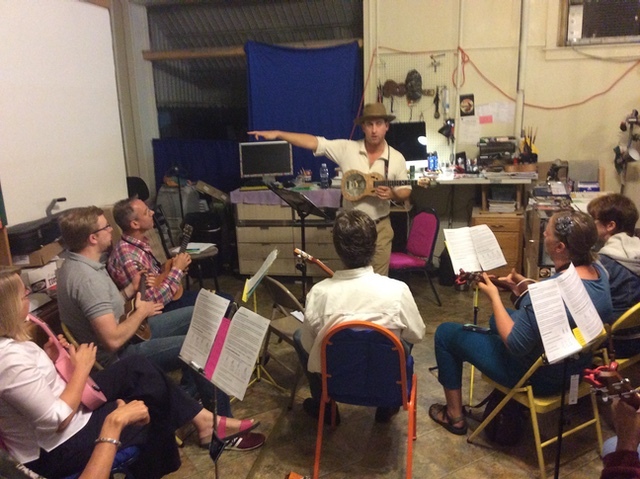 Limited to a small group so each person gets the most out of this hands on workshop. More playing than talking! 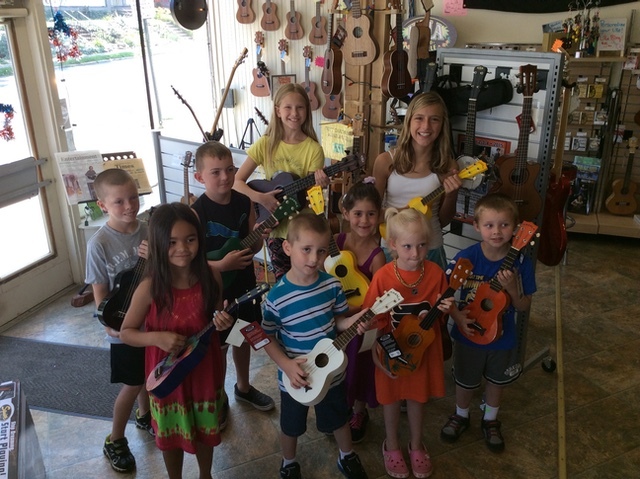 Ukulele is typically played with the fingers in a strumming style and finger picking style. 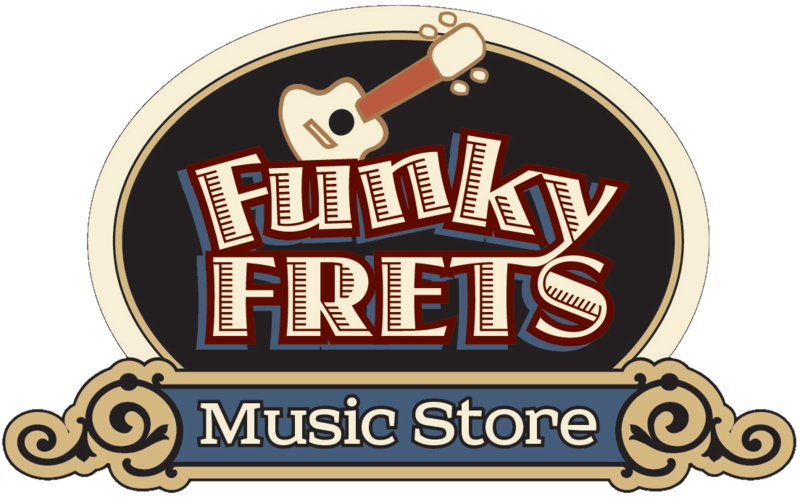 This series explores the two fingerpicking styles. Alternating Thumb Style - This is the most common fingerpicking style used with ukulele and the focus of most to of the sessions.